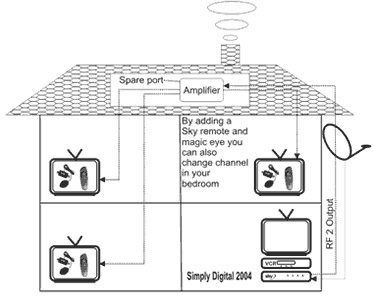 Installation in medium signal areas. 32 element wide band aerial on 3ft mast. 6" bracket connected to your existing system. From � depending on access. Installation in good signal areas. 10 element wide band aerial on 6ft mast chimney mount. Installation in marginal signal areas. 48 element aerial on 6ft chimney mounting connected to your existing system. From �0 depending on access. We carry out repair and installation of satellite systems. If you are having trouble with your system, we can often help - Please call us for advice on 01527 68757. Pre-installation to include routing of cables in lofts and awkward locations. RCK Digital Aerials has been serving the communities south of Birmingham in Bromsgrove, Redditch, Barnt Green, Alvechurch, Worcester, Solihull, Henley-in-Arden, Alcester, Rubery and Wythall. We are proud to say that we have been recommended by our customers for over 20 years. All work is carried out by City and Guilds qualified Engineers Roger, Andrew and Jonathan. Complete digital TV, aerial and satellite installation and repair service is provided including Freeview and Freesat. We operate from our own workshop/storage unit enabling us to stock a comprehensive range of aerials and fixings. Equipment tuning and set-up , SCART and HDMI leads supplied. Wall mounting of LCD and Plasma Screens. We supply boosters and amplifiers for all situations. We stock leads and connectors. We install extra Telephone/Computer connection points. Tailored installations, we stock a full range of aerials and fittings as each house is different and your requirements vary. We don`t just tune in TVs, if you have a flatscreen TV, and want it fixed to a wall, we can do everything from planning the installation, supplying the brackets and leads, to carrying out the installation work. We always aim to make the installation neat and tidy, with cables as invisible as possible. 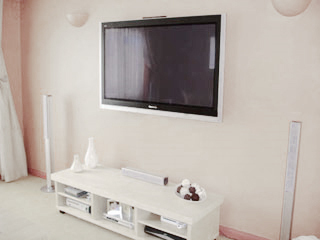 We will offer practical advice on how and where your TV should be installed. Equipment installation, satellite, cable and freesat boxes, DVD and Video recorders, Surround Sound, Satellite distibution to other rooms. Add extra extension points - without the need for another aerial. You might only need one aerial point in your living room....You might want aerial points in 14 rooms ! We plan and install aerial systems, with as few or as many points as you require. If you have satellite TV, we can arrange your aerial system so you can watch your satellite channel on all of your points. 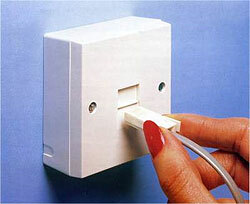 If you need a telephone extension for broadband, we can install it for you. We can also locate problems that you may be having with your broadband connection. Instead of making numerous phone calls to your broandband and telephone provider, and getting nowhere, speak to us instead. We can usually locate and repair the fault, if its your computer, modem, or phone line. We carry out domestic telephone installations to include fault finding on existing telephone points. New telephone and computer points. Telephone points for satellite boxes.